The first three months of 2019 have been an uncertain time for Britain. With Brexit looming over politicians and citizens alike, frustration growing in both Britain and the EU, and seemingly no one willing to budge on their positions, the future is anything but certain. Brexit, however, may not be Britain’s only cause for concern. 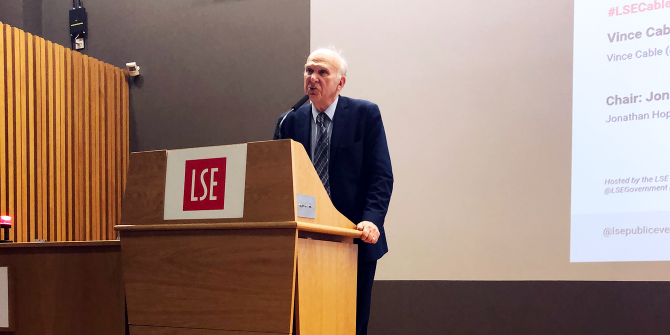 Ten years after the global financial crisis, Liberal Democrat leader Vince Cable is worried that Britain — and the world — may be heading toward another economic catastrophe. Vince Cable was among the first people raising the warning of oncoming economic strife in the late 2000s. Unfortunately, one of the basic economic principles underpinning the market crash, which was not taken seriously enough at the time, was that the financial crisis of 2009 was an inevitable step in the cycle of a market economy driven by sentiment: when upsurge and exuberance become too great, people panic. The market turns. There is then a painful time of contraction and austerity, which fosters a political reaction and an upsurge in populism. Eventually corrections are made to the market and the cycle begins again. So where are we on the cycle now? Once again in the period of upsurge, yes, but just how far down that road we are is difficult to pinpoint. What is clear is that Britain is in a dangerous position in regard to levels of debt. Last time the market turned, Britain had some of the biggest banks in the world concentrated in one place, so when the crisis and contraction hit, it hit the UK very hard. The question now is whether, when the cycle comes back around, the UK will be hit as hard again. Certainly, the government has been far from idle in the past decade when it comes to making integral regulatory changes. Among the policies now fortifying the financial sector are 1) the requirement of banks to hold much more capital, reducing the risk of illiquidity and failure; 2) increased segregation of speculative banking activities from the other services offered and managed by financial institutions; 3) an overall strengthening of the regulatory framework and the addition of more regulators and oversight mechanisms; and 4) macro prudential regulation, which ensures that banks that lend excessively to one particular market are required to hold more capital to compensate for their increased risk. These policies have been implemented to shore up the financial sector’s strength against a future crisis. But does that mean that Britain could be shielded from the next downturn? Unfortunately it’s not that simple. If there is another financial crisis, Cable warns, it is likely to hit the things the government hasn’t spotted yet and the regulations haven’t tackled. While some areas have indeed been fortified, others have likely been overlooked. Property markets are once again highly inflated. People are borrowing excessively in mortgage at rates close to what they were before the 2009 crash, exacerbating the financial instability of households and individuals. Britain’s financial institutions are still looming very large in the economy. Similar to the way in which Nigeria’s economy is reliant on the oil industry, so too is Britain reliant on the financial industry. It’s a huge and dominating enclave that is largely siloed from the rest of the economy, meaning that even with the last decade’s reforms, it can still fail as it did before. Interest rates have never been lower. Stability is being artificially maintained by the unusual policies of the past decade, but central banks are worried about default if rates begin to rise. The US is growing very rapidly, but levels of debt in the both the corporate sector and in households are reaching historical levels. This puts the US at risk of recession, which would inevitably spill over to other economies. China, which survived the last crisis by incurring massive debt, currently maintains a corporate debt level that is 160% of the country’s entire economy. It could rapidly be forced to default if faced with slowdown or a trade war with the US. The Eurozone has also incurred massive amounts of debt. If the weakest economies, such as Italy, were forced to default, it would have cascading consequences for the rest of Europe. Each and all of these factors could indeed remain stable, but if they do not they threaten to put strain on the world economy which would be comparable to — if not even worse than — the strain that lead to the last crisis. Meanwhile, the capacity to run budget deficits and debt is now much lower, and the government’s ammunition for fighting a crisis has been largely used up managing the last one. Ultimately, Cable says, the bubble of upsurge in the current economy could be nearing a bursting point, meaning we may be well on our way to another financial crisis, and Britain may not be in a much stronger position this time around than it was last time. 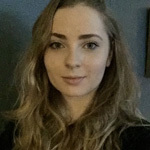 Sarah Fowler is a postgraduate student reading Conflict Studies in the LSE Department of Government. Her interests involve political attitudes and mobilisation in popular culture. Twitter: @sarahafowler.